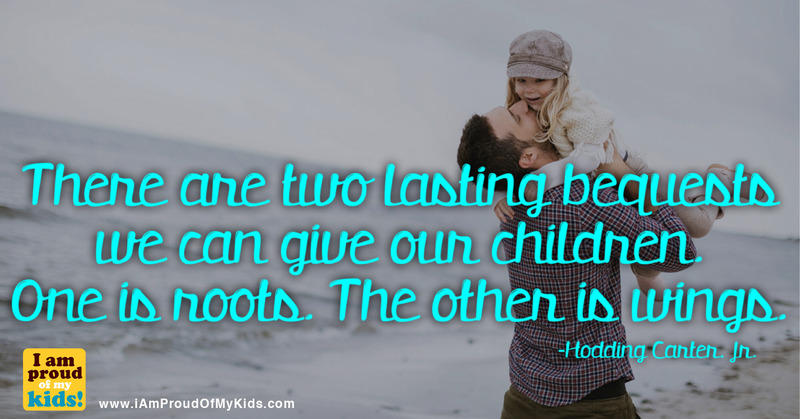 There Are Two Lasting Bequests We Can Give Our Children. One Is Roots. The Other Is Wings. - I Am Proud Of My Kids! Be the first to comment on "There Are Two Lasting Bequests We Can Give Our Children. One Is Roots. The Other Is Wings."